I hope you had a wonderful weekend. I'm dealing with Monday with ruffles. 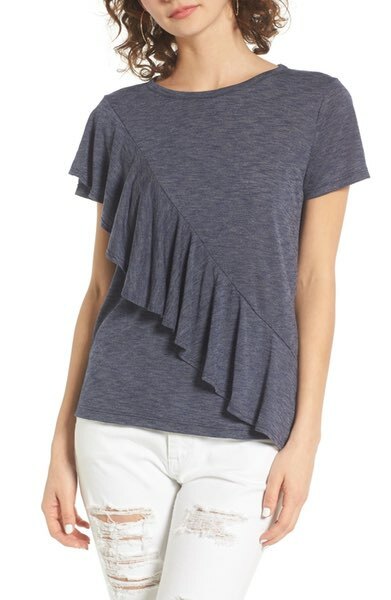 I love ruffles for spring because you can style it however you'd like. 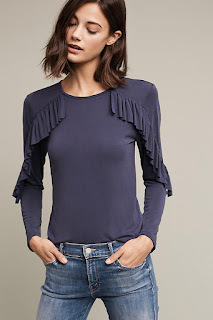 Ruffles don' have to be girly, dress it with moto boots or bf jeans. One of the reasons I don't love the cold shoulder trend is the strapless bra situation it requires. 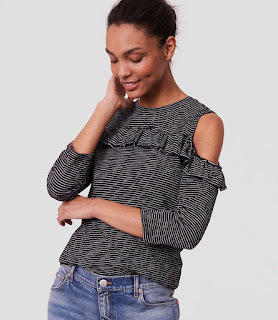 This top? Not so much! It's perfect. This top is a steal for under 40 bucks. Wear it for work or play. 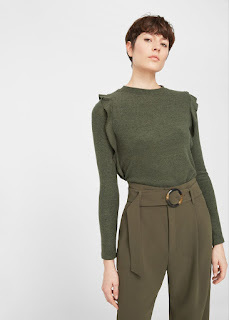 A great long sleeve option for this transitional weather period. Ruffles no longer fall into the bows and polka dots category. Ruffles can be girly but they can also be gritty.